Despite frequent talk of innovation by participants in the retail finance space, in reality these channels are often explored with precaution. Chatbots, in fact, have not had disrupted their business yet. Indeed, many brokers played with chatbots after Facebook F8 in 2016. Most of these chatbots are dead. Even if they are not, the basic functionality of those that are still in operation makes it seem clear that their owners did not advance the project go further than the time-boxed proof-of-concept phase. Being marketing machines, such brokers shouted one more time about how they are always at the forefront of technology before they stopped paying much attention to the ongoing evolution of chatbots’ domain. A recent survey shows that 81% of Hong Kong brokers do not plan to introduce a chatbot. It is not the fault of technology that brokers’ chatbots didn’t take off. After all, what would you expect from low-value chatbots which are limited only to delivering market quotes to the traders? 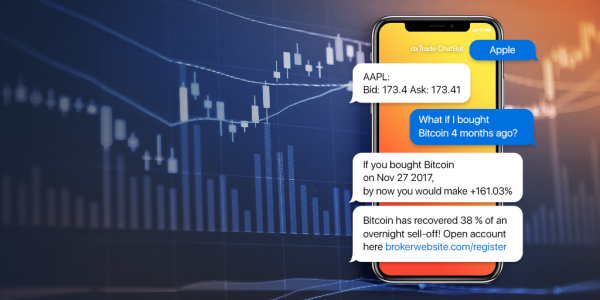 Nowadays brokers’ chatbots typically offer real-time quotes, generic FAQ, account statements, information about trader’s positions and notifications about sharp price moves or margin calls. Most companies stop here. While useful, this is far from being a game changer. Chatbots have much more potential. Conversational UIs, powered by even the most basic machine learning algorithms, perform much better than emails, blog posts and FAQ pages. The key point is data about your prospects and personalization: in contrast to one-way communication channels, chatbots can learn more about their users, by analyzing all conversations held, and adapt. More and more banks and brokers are deploying chatbots to reduce the costs of customer support and sales. Many questions are typical and frequently asked, and canned responses with a touch of natural language processing (NLP) tools can significantly reduce the number of incidents, which require actual human interaction. For example, chatbot can handle a typical “Where is my withdrawal?” inquiry by checking the status in a CRM and providing a response like “Your request #123 to withdraw 275 GBP is being processed. We expect the money to be sent today; however in certain cases we may need to review your request further which may result in a delay of up to 3 days”. Even though the processing involved has been fairly superficial, it gives the satisfaction and arguably maintains almost the same quality level as if such a request was handled by a human customer support representative. Quick access to simple operations via a messenger with a chatbot on the backend helps to relieve the support staff from tedious activities and let them concentrate on more complicated issues. Also it could be a real delighter for traders to do things on the go without the need to open a trading platform: close all positions, check the unrealized P&L etc. 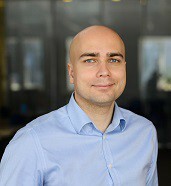 Most people prefer to engage with programs that are human-like, and this gives chatbot-style techniques a potentially useful role in interactive systems that need to elicit information from users, as long as that information is relatively straightforward and falls into predictable categories. Bot can qualify leads: collect information from visitors, auto-assign conversations, and create leads in Salesforce. After following up any queries a trader may have, they analyze aggregated queries and send out relevant appeals, news or opportunities. For example, if a trader requests the price of Litecoin, a logical step could be a personalized offer to open an account: “George, you recently asked me about Litecoin. Would you like to trade Litecoin, Bitcoin, Ether and 100+ more cryptocurrencies on our new multi-asset trading platform? Click here to find out more”. 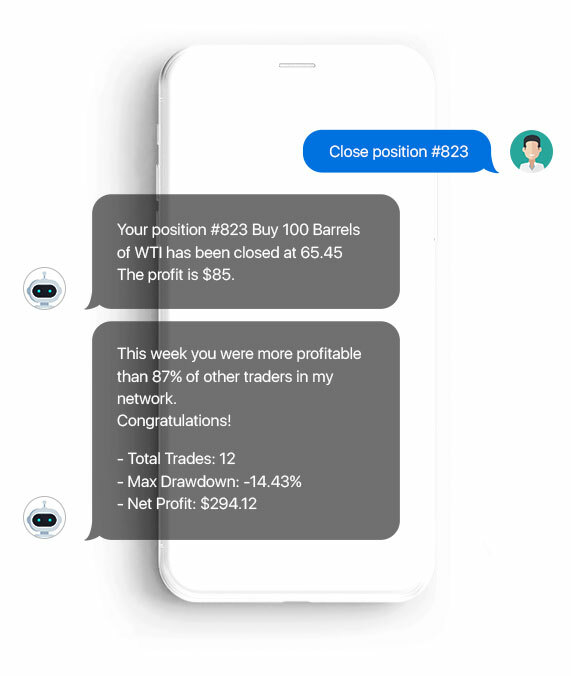 Chatbots certainly should be integrated with a brokerage’s CRM, trading platform and back office systems to bring the trader closer and motivate them. Personalization ultimately produces higher conversion and activation rates. Chatbots give the ability to start small talk or engage in casual conversations between customers and businesses without human interaction. The sky’s the limit for engagement techniques: fine-tuned news feed, unique educational or entertainment content, games, contests, personalized memes, polls, etc. Bot can send performance insight to inform the trader if he made it into the top-10 list of progressive traders according to this chatbot statistics, or if he was more profitable than X% of other broker’s traders. Chatbots have the ability to initiate and close sales, where a sale equals the placement of an order or a deposit. Let’s investigate such scenarios. The user sets an alert, for example, “Notify me when a Bitcoin is less than $7000”. If this event occurs, the chatbot notifies the user adding a call to action “Would you like to trade the Bitcoin now?” In other words, any interest of the user to a financial instrument is followed by a call to action which facilitates a transaction. A second scenario illustrates how chatbots help discover new opportunities. For example, a trader may ask, “What are the top performing US stocks in the past 3 months?”, the chatbot would then find such stocks and show them with an executive summary helping the user to make a trading decision. Chatbot can be smart. If it knows the user’s deposit history, open positions and margin requirements, it can make calls-to-action more targeted: “Your equity is $1040.34. Should EUR/USD drop more than 100 pips, your position “#123 Buy 1 lot EUR/USD @ 1.12345” will be liquidated. Would you like to top up your account to avoid this? The suggested amount is $450”. Sophisticated chatbots break new ground in conversion and activation of prospects into sales. Being a diligent conversational partner this AI remembers the history of the dialog and is continuously self-learning. 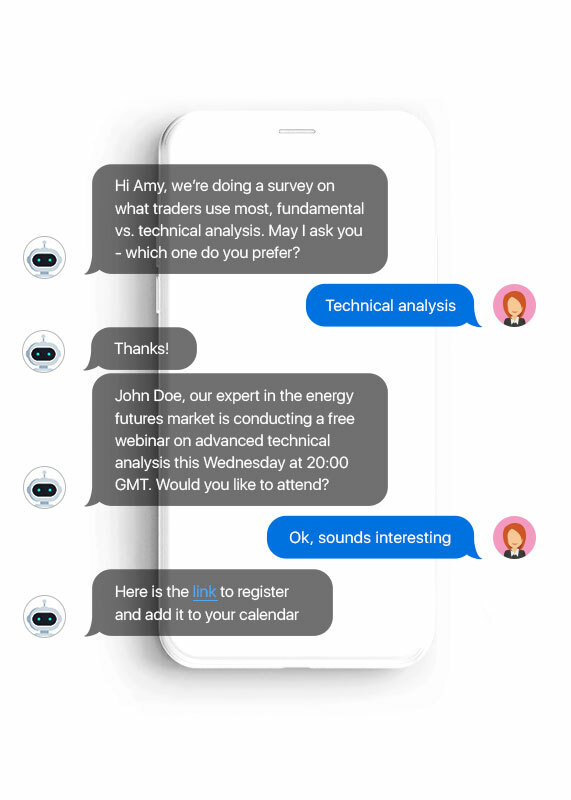 Thus a chatbot can connect with a user on a more intimate level, it has the ability to get under a traders’ skin by adding value that improves their day-to-day lives. However, only a chatbot with a well-designed architecture and advanced functionality can enrich a company’s communications. Chatbots still remain an underrated channel these days among brokerages, it is a good time to explore whether your business may need one. Very insightful, nice one for keeping us up to date on your trading progress.